A SIM card needs 2 things to work, validity and balance. Each time you add top up credit, you will also get additional validity days. The current rules state that you get 30 days of validity after each refill of any amount. and choosing a local monthly package. Tourist SIMs from DTAC and AIS may also be limited to 90 days, and may require conversion to a monthly package. 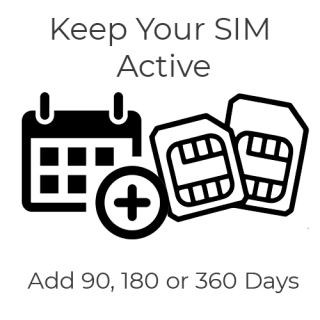 You can now buy a 90 day validity package online and extend the lifespan of your prepaid Thai SIM. This service will ask for the Thai number which you wish to add validity for, and then sends 10 baht topups to add the required amount of days. Keep in mind your maximum validity can only be 1 year. Check your current expiry date so you know how many days to add. Note: dates are in the DD/MM/YYYY format. DTAC – Extend your validity for up to 365 days at a cost of 2 Baht per month. You can use your mobile carriers smartphone app to check your balance and validity.